It is always an honor to photograph professionals who are creative and in the same business realm as myself. Cali is a super talented caligrapher while her husband is a Chicago based lifestyle photographer . They just got back from their baby moon in Greece and wanted to do their maternity photo session in downtown Chicago. I am so glad they've chosen me because the two hours we spent together were so fun and didn't feel like work at all. 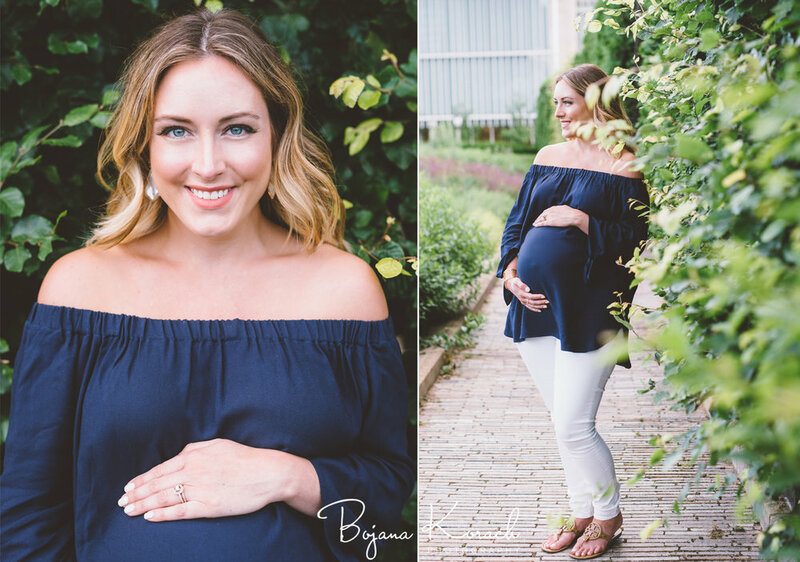 For this maternity session we decided to start at the beautiful Lurie Garden which is an urban oasis of Chicago and then walk over to the River Walk. On the way we made an unexpected stop at the South Garden of the Art Institute of Chicago which turned out to be such a hidden gem. So lush and green. Photographing in this city is so inspiring. Wherever you turn there is a picture perfect setting. On top of it, I got to witness and document with my camera how madly in love Cali and JD are and just how excited they are about their first child.